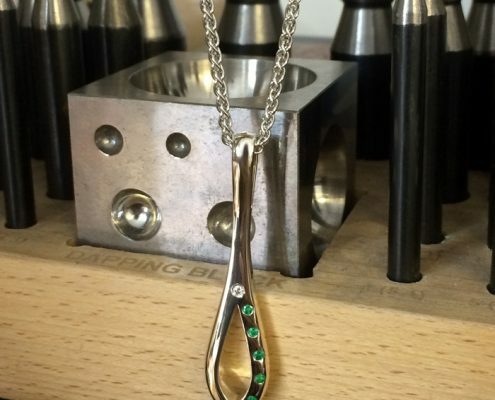 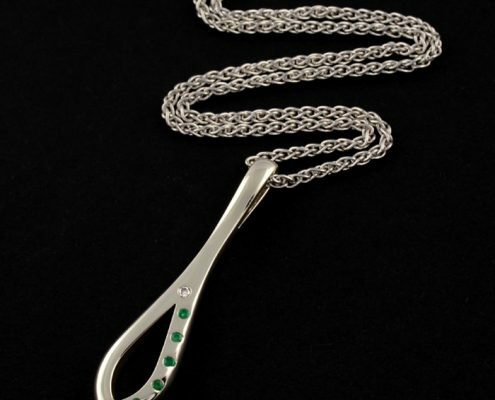 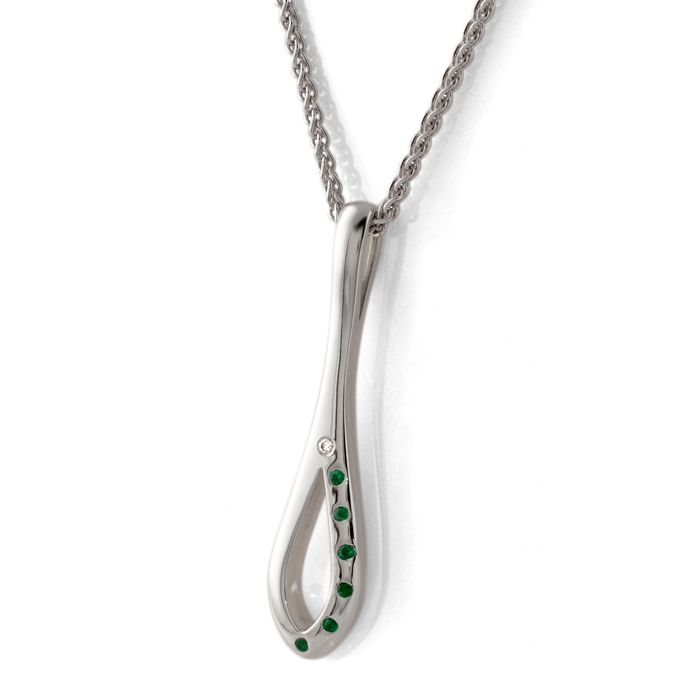 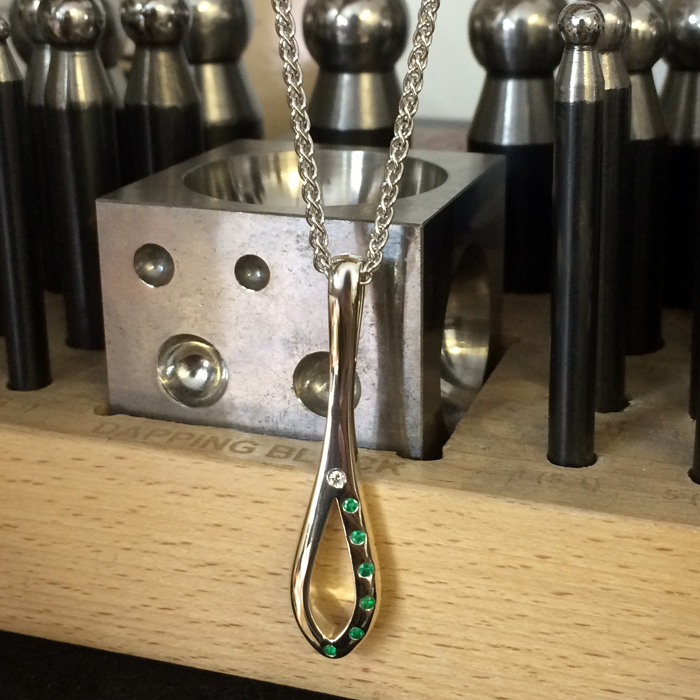 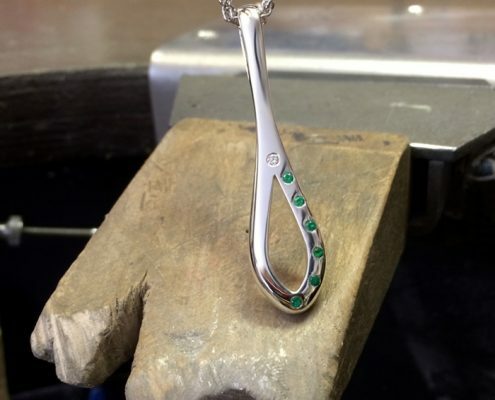 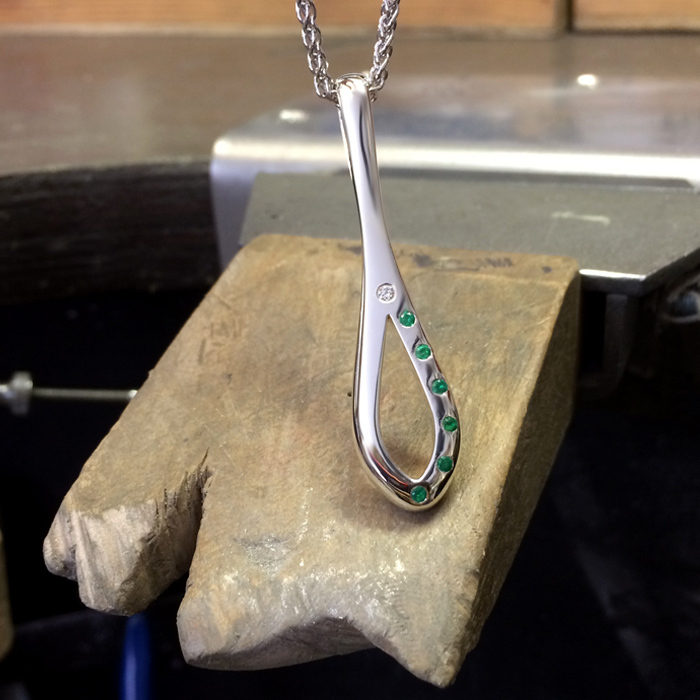 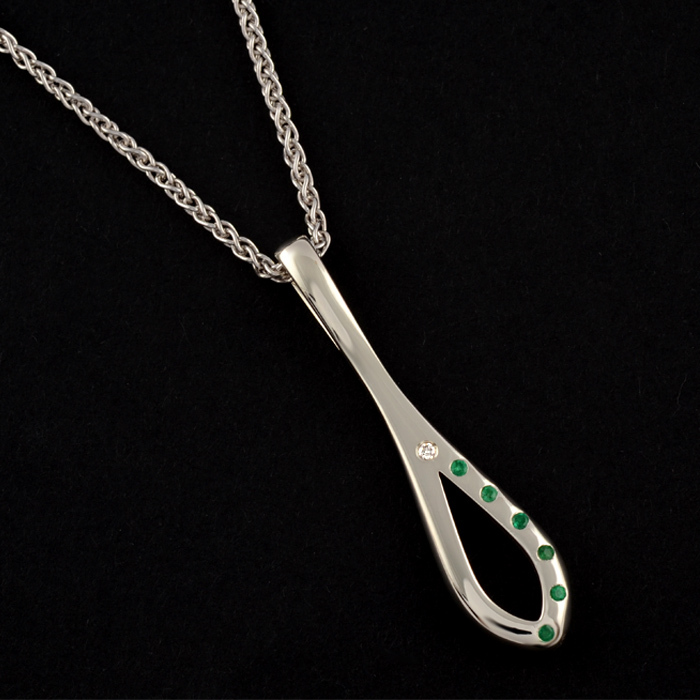 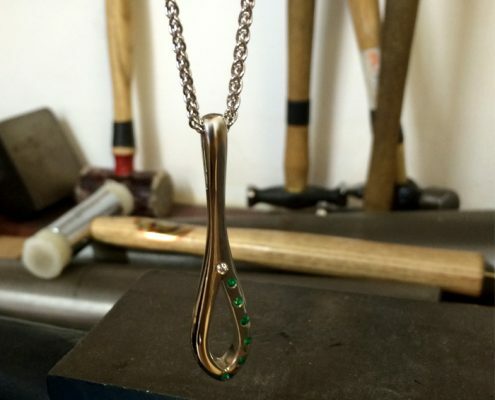 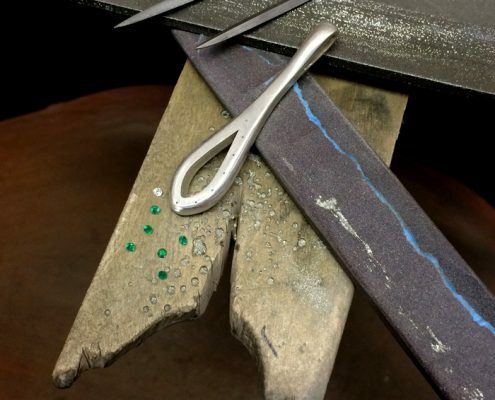 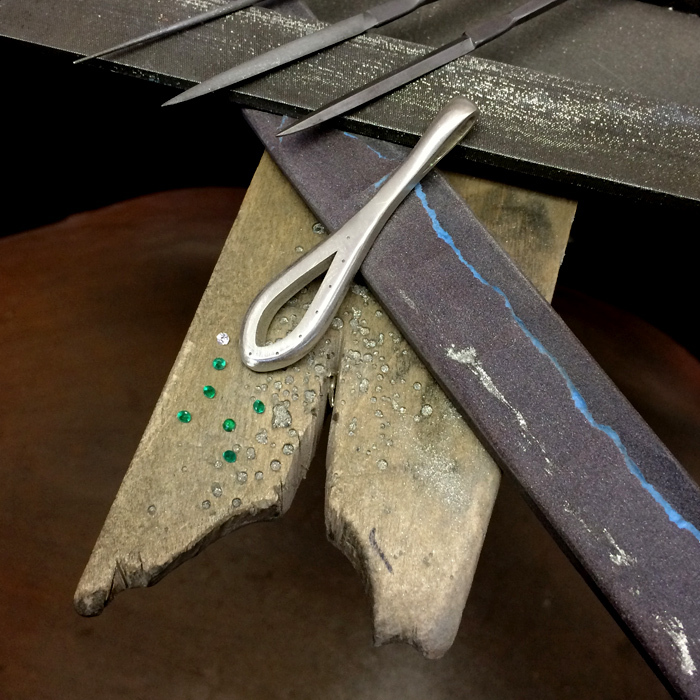 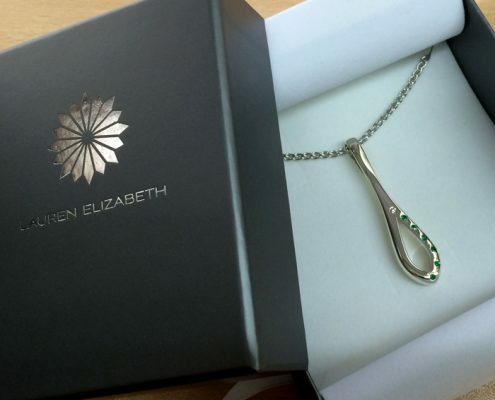 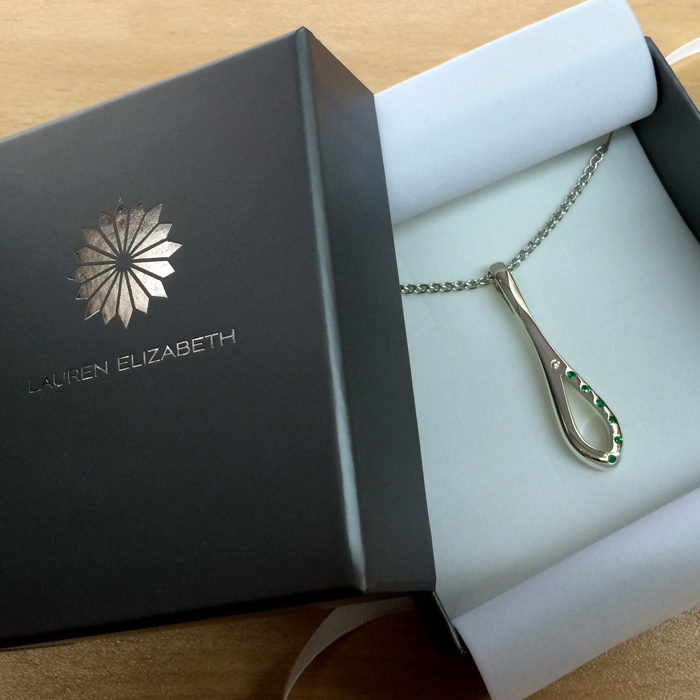 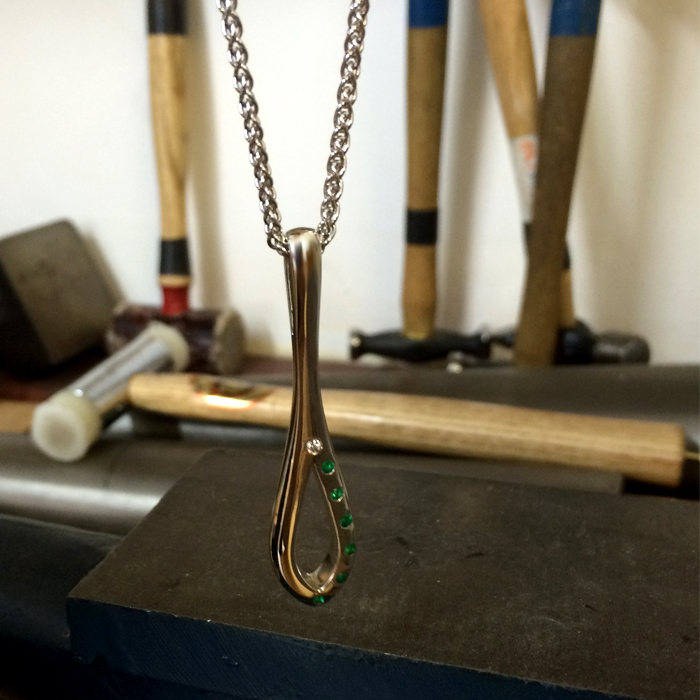 Commissioned as a 60th birthday gift, this bespoke pendant has been designed as an elegant drop, featuring six carefully placed round brilliant Emeralds to celebrate every decade. 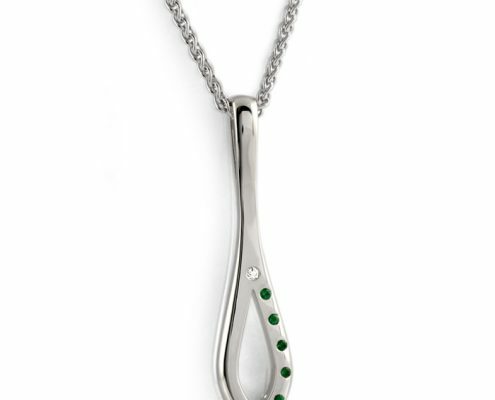 A single round brilliant White Diamond punctuates the apex of the central design, providing an additional sparkle. 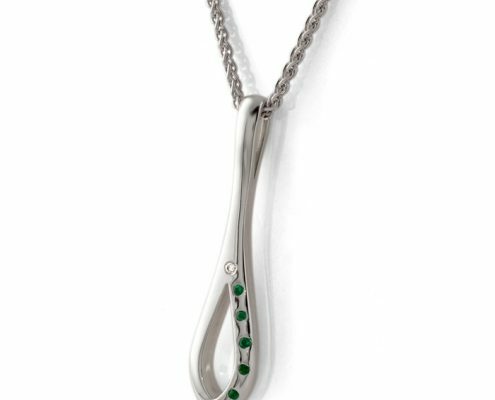 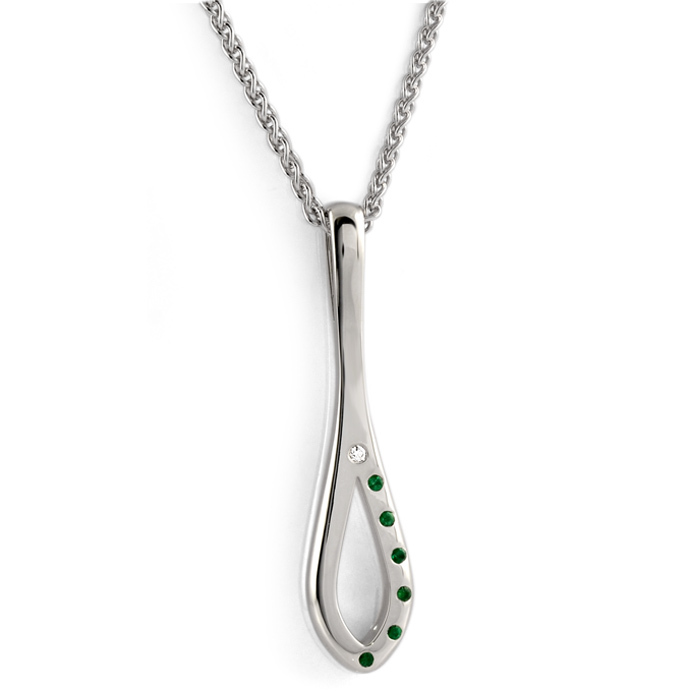 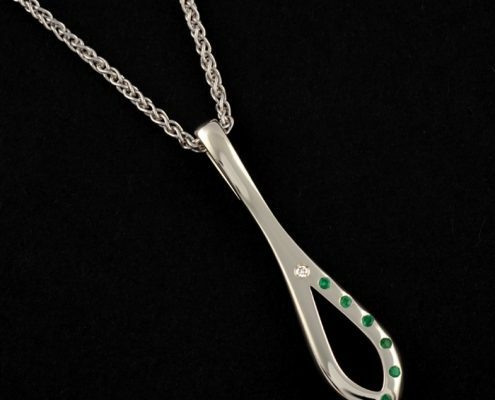 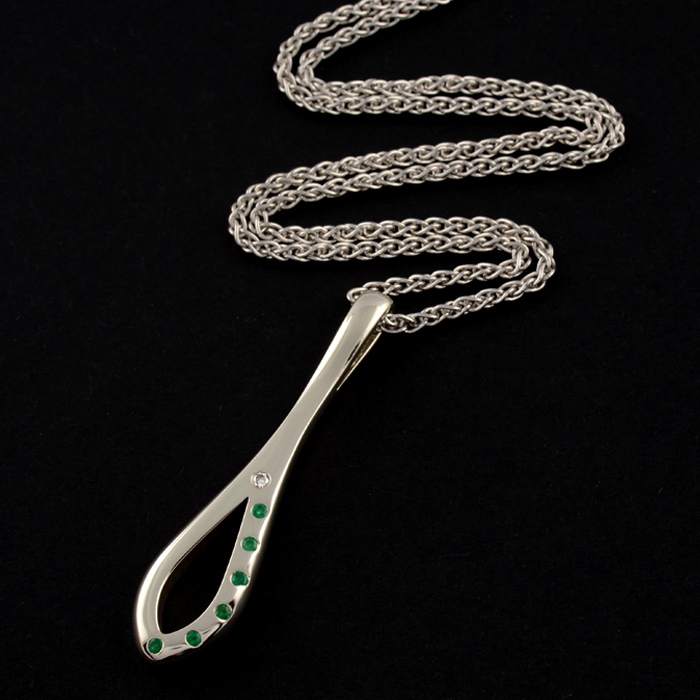 The pendant is suspended on a white gold spiga chain which beautifully complements the organic design.